There is a one common fear that most dental patients have: the drill. The sound alone is enough to cause Monrovia patients to cringe, even the thought of hearing it. At Dr. Q Dental, we understand this fear of the drill and are always looking for ways to increase patient comfort. That is why we are happy to add the latest technology to our practice, the Solea® CO2 Laser. This new advancement in laser dentistry calms patient’s nerves because it can replace most procedures that used to be completed by a drill. That means procedures are performed quicker, with more precision and less trauma. The Solea CO2 laser is a powerful dental laser that replaces the dental drill in the vast majority of dental procedures in our practice. With this new form of laser dentistry, most Monrovia patients can rest easy knowing that this new technology eliminates the need for anesthesia and procedures can be completed in a fraction of the time. Solea is the first CO2 dental laser system that has been cleared by the FDA for soft, hard and osseous tissue procedures. 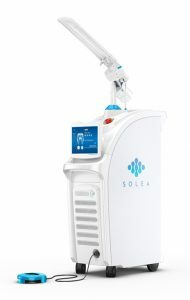 Solea delivers a very unique wavelength guided by advanced computer technology to deliver virtually painless dental procedures for both teeth and gums; from simple cavities to complex surgeries. For soft tissue procedures, the Solea laser allows Dr. Q more precision, speed that ends up resulting in less procedure time and less bleeding. For Monrovia patients, that means you are in and out of our office much quicker than you would be with a normal drill. What are the benefits of laser dentistry with Solea? Less procedure time: Laser dentistry allows Dr. Q an unmatched level of accuracy and speed. With this advancement in technology, for most procedures, there is no need to numb the surgical area. Our goal is to provide you with the best patient care possible and we know that means making your procedure quick and efficient so you can get back to your daily activities. With Solea, Dr. Q can get you back to your daily activities in no time. Less bleeding: One of the things most patients fear is seeing blood or knowing that they are bleeding. Using a drill for soft tissue procedures usually results in some blood being drawn. With laser dentistry, Dr. Q is able to get a better picture of your teeth and gums because of the advanced computer technology. Since she has a better picture of what is happening with your teeth, she can navigate hard to reach areas with expert exactitude, resulting in less trauma to your teeth and gums. No anesthesia: With laser dentistry, there is no need to use anesthesia on the surgical site. Why? Well it’s simple: there is no drill. With a drill, the surgical area needs to be numb in order to limit the amount of discomfort or pain that the patient feels. For procedures using laser dentistry at Dr. Q Dental, anesthesia is a thing of the past! There is no need to use anesthesia because the laser is so atraumatic, most Monrovia patients don’t feel a thing. Laser dentistry is great for patients who have sensitive teeth as well. Dr. Q uses laser dentistry for a variety of other procedures as well, but, unfortunately, it does not work for every procedure. Dr. Q will always recommend it where applicable. 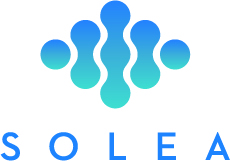 The experience with laser dentistry and Solea is so unique and atraumatic, that most patients will find it hard to believe they were just at a dental appointment! If you’re one of the thousands of patients who hate the dental drill, call us today at (626) 599-9819 today and learn more about the benefits of Solea and laser dentistry in the Monrovia area.